The Melbourne Storm were founded in 1998, in the immediate aftermath of the Super League-ARL dispute. Getting a team in Melbourne was a priority for Newscorp in order to expand the footprint of the game. Early financial concessions meant that the Storm won their first premiership in only their second season in 1999. Thereafter, more sustained success arrived, with three minor premierships in a row from 2006 to 2008, four grand finals in a row from 2006 to 2009 and two premierships in 2007 and 2009. Melbourne, and rivals Manly, were the most dominant teams of this period. It all came apart in 2010 when massive salary cap rorts were uncovered. The Storm were stripped of the minor and major premierships from the 2006 to 2009 period and lost all their competition points in 2010, ensuring the club’s only wooden spoon. The Storm bounced back quickly, winning a legitimate minor premiership in 2011 and a premiership in 2012. Since then, they’ve kept winning with two more minor premierships in 2016 and 2017. There’s not a lot of superlatives left to describe the Storm – even their cheating was monumental and they’ve had more NRL titles stripped than most clubs have won – and the 2017 team could make an excellent case for being the best vintage produced in the last twenty years. Founded in 1908 as Eastern Suburbs, the Sydney Roosters are one of rugby league’s longest standing clubs. Playing out of Allianz Stadium, the Roosters (or Easts or City or Tricolours or Chooks) are one of the NRL’s success stories, having won thirteen premierships and nineteen minor premierships in their long history. 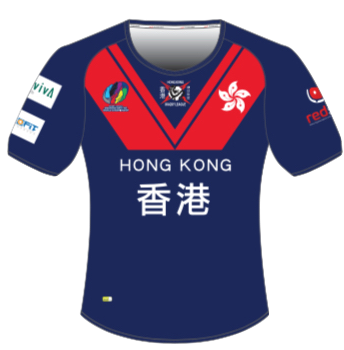 More recently, Easts have been one of the most successful of the Sydney based clubs, winning three minor premierships in a row from 2013 through 2015, including a premiership in 2013, and were a powerhouse in the early 2000s, winning the premiership in 2002. The club has attracted a large number of stars over the years, including Brad Fittler, Adrian Lam, Arthur Beetson, Ron Coote, Anthony Minichello, Craig Fitzgibbon, the original immortal Dally Messenger and some gronks like Mitchell Pearce and Todd Carney. Sydney maintain a close rivalry with Souths that is the subject of the Ron Coote Cup. Wests Tigers have won one premiership. The year was 2005 and a young Benji Marshall side-stepped an entire league to lead his team to an extremely unlikely victory over grand final debutants, the North Queensland Cowboys. The Tigers had finished the regular season in fourth, behind the Eels, Broncos and Dragons. The Tigers were formed in 2000 from a merger of the Western Suburbs Magpies, a team the NSWRL had been trying to get rid of for years, and the Balmain Tigers. The resulting joint venture has struggled for success beyond their fairytale year but never have hit the rock bottom of receiving a wooden spoon. It’s been six years since the Tigers featured in the finals and a year or two of re-building is ahead before they may make another appearance. What a team the Canberra Raiders were in the early 1990s. As one of the NSWRL’s first expansion teams in 1982, the Raiders made five grand finals between 1987 and 1994 (that’s seven years!). Of those five grand finals, Canberra won three of them in 1989, 1990 and 1994. Jason Croker, Mal Meninga, Ricky Stuart, Laurie Daley, Brett Mullins, Gary Belcher, Glenn Lazarus, Craig Bellamy, Tim Sheens – the list of top players in those premiership winning sides is almost endless. Since then, it’s been a whole lot of nothing. The Raiders have been poor but not so bad that they even find themselves at the bottom of the ladder. 2016 was a year of redemption, finishing second on the ladder, the momentum of which they have blown throughout the 2017 season and they will be lucky to make the finals. Cronulla won a premiership. You might have heard about it. It was last year. It was also their first since joining the NSWRL premiership in 1967. The Sharks are also the only team stupid enough to recently get caught in a doping scandal. In the NRL, you’d basically have to leave a box of used syringes with a note saying what was in them on the front doorstep of NRL House and I’m still not sure the authorities would put two and two together. To get pinged for peptide use while not even being good enough to make the finals in 2013 and 2014 is a level of dumbassery unsurpassed in the sport of rugby league. That aside, prior to those incidents, Cronulla were a journeyman’s team. They were never terrible (only three wooden spoons to their name, two from the early days and one in 2014) but never great (refer lack of premierships, 1967-2015). The Sharks were the home of some top class individuals, including Andrew Ettinghausen, Steve Rogers, Brett Kimmorley and David Peachey. Their current line-up features stars, including Valentine Holmes, and also features some guys that have contributed to multiple Origin losses, like Paul Gallen, James Maloney and Andrew Fifita. Parramatta of the ’80s and Parramatta of the ’00s were powerhouses of top flight rugby league. The ’80s vintage managed to win their first, second, third and fourth premierships. The ’00s vintage, on the other hand, was less successful. In 2001, Parra won all but four games of the regular season, taking the minor premiership, and secured a grand finals berth. The opportunity to claim their first title in fifteen years went begging as Newcastle took honours that year. A less dominating, but still minor premiership winning, performance in 2005 took them deep into the finals only to be eliminated at the preliminary final by the Cowboys. Depending on your perspective, the Eels were robbed of a premiership in 2009. Despite finishing in eighth position that year, Parra made the grand final against the Melbourne Storm. The Storm won the game but were later stripped of the title due to salary cap breaches. It would be the last time the Eels played finals football, declining from there to pick up back-to-back wooden spoons in 2012 and 2013. Last year, Parramatta joined the illustrious club of serious salary cap breachers themselves. This cost them their first shot at finals football since 2009. With that behind them, the Eels are well on track this year to break their drought. The Gold Coast Titans have only been in the NRL since 2007. The Titans franchise are the most recent iteration of top-level rugby league’s attempts to crack the Gold Coast market, following in the footsteps of the Giants (1988-89), Seagulls (1990-95) and Chargers (1996-98). Gold Coast peaked in 2009 and 2010, managing top four finishes. Since then, results have been thinner on the ground and the club collected a wooden spoon in 2011. The Titans finished outside of the finals spots every year until last season when the Eels were docked enough points for them to sneak in, only to be eliminated in the first round against the Broncos.